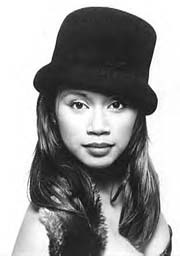 In 1997, Jocelyn Enriquez became the first Filipina artist to strike it big on the U.S. pop charts. All total, she's had five #1 singles on the Billboard Dance charts. She started with "Do You Miss Me," the first track from her second album entitled "Jocelyn," which spent over 23 weeks on Billboard airplay charts and cracked the Top 50. 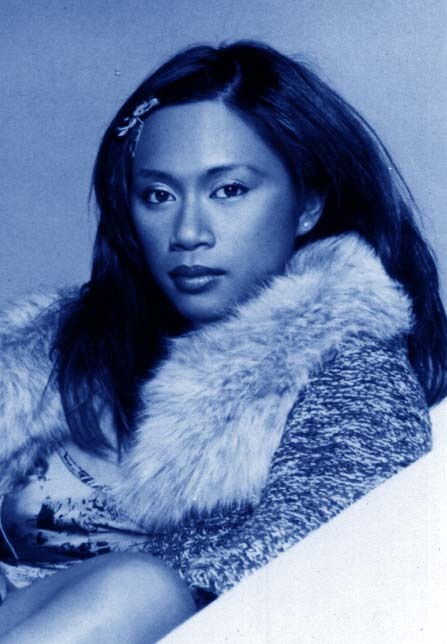 The follow-up, the irresistible "A Little Bit Of Ecstasy," solidified Jocelyn's hold on the dance genre. The song topped Billboard's Dance sales chart for six continuous weeks! Born and raised in San Francisco, Jocelyn was singing by the age of three. To prepare for her eventual career, Jocelyn studied voice with the San Francisco Girls Chorus and the San Francisco Opera Company. As she began her rise to prominence, Jocelyn honed what has since become acknowledged as an incredible live stage show. With strong radio support for her second disc, she toured extensively, playing throughout the U.S. and abroad. She opened for acts from Jon Secada, The Fugees and LL Cool J to Brandy, Mase and Dru Hill. International stardom took her through Canada, Brazil, Philippines, Singapore, Guam and other countries - where her singles blazed up the charts. In 1998, Jocelyn participated on the soundtrack to "54" - the film commemorating the infamous New York City nightclub. Along with fellow disco divas Amber and Ultra Nate, collectively known as the Stars On 54, Jocelyn remade the Gordon Lightfoot classic "If You Could Read My Mind." The track soon became a chart-topping club anthem. After taking some well-deserved time off to tend to her personal life, she was back in the studio recording the single, "When I Get Close To You," which topped the Billboard Club Chart. Now, amidst attempts to be released from her Tommy Boy contract, and preparations for a new album, Jocelyn takes time out to discuss her future plans, how she managed to land a spot on Disney's "102 Dalmatians" soundtrack, and why her photos just don't do her justice! Jocelyn: Yeah, I was born and raised in the San Francisco Bay area. I got my big break there. I did a demo. That actual demo led me to a single with an album. Then my second . . . and now I'm working on my third. It was your second album when things really took off, wasn't it? Yeah, my second album really, really just basically, I guess, set the tone for everything. I traveled internationally. I've really been blessed and very fortunate. It would appear from the success you've had with dance music that's the genre you're going to lean toward. How did you decide to take that route? I think after doing dance music for quite some time, people tend to remember you or have you as [in their minds] as a "dance artist" or whatever. For me, though, I think dance music is fun anyway, so I'm pleased with everything - the music. I love performing dance music. I know it touches people in different ways. Is the new album you're working toward going to lean toward dance music? It's definitely going to have Jocelyn, but you know it's been a while - what, three or four years since the other album? It's definitely going to show growth of me as a person. Whether it's through the lyrics - because I definitely want to get more involved with songwriting - or vocally as well. You actually contributed a track to the "102 Dalmatians" soundtrack. Gary and Chris, the guys from Thunderpuss, called me really late at night and said, "Here's the thing. There's a project we're basically shooting for, and we need someone to cut the demo." Because I live in San Diego, and LA is only two hours away, they were like, "Would you mind driving up tomorrow and cutting the demo for us?" I thought it was a great opportunity, and I work well with those guys, so I drove up and did the demo. It was weird. I didn't hear anything from them for a month or two, but they told me they'd let me know. It just happened in a week's span. They called me again, and said, "They love the song and want you to do it - but we need to change it." So I drove up there again, we rerecorded it, and two weeks later it was on the soundtrack. This was all happening simultaneously with your Tommy Boy (Records) contract? You recently ended your relationship with them? Basically it was an understanding. Of course, with a record contract it's like being married to someone. There are no hard feelings. I'm actually still in the process of being released. I think it's just time to let bygones be bygones, learn from the good and the bad, and just move on. You obviously learned a lot of good from your relationship with Tommy Boy. What was it you didn't like that made you decide it was time to move on? I think it just happened over time. It was a combination of a lot of things. I thought it was the best thing for me to do right now - it was something I needed to do for myself. What other labels are you looking toward? Right now I'm just focusing on me as a person and as an artist - how I can better myself and my music as well. I definitely want to pursue this, but I want to learn from the release - which I'm still undergoing from Tommy Boy. What was it like the first time you walked into a night club and heard your own voice, singing one of your songs? It was a great feeling - almost like a high. I don't want anybody getting the wrong idea, but it is the most feeling anyone can ever feel. I almost felt like I was in a dream. I've always imagined . . . or always dreamed . . . of having this career, having my song played in clubs, people reacting to it, listening to my song on the radio. It's definitely a great feeling. You played at a club here in San Francisco, and the crowd just went wild. How did that make you feel? It's really weird. Performing in front of your home crowd is in a way challenging. I want them to . . . what can I say? I want them to really, really get into the partying scene and the reaction I got - I was overwhelmed and very grateful. It's been a while since I've performed at home, and I just fed off of everyone's energy. It was definitely one of the most memorable shows for me. To anyone that was at Club Papi (papipresents.com), and to Club Papi in general, thank you for welcoming me to the stage. I wouldn't be there without them. What do you do in your time away from music? What does a singer do when not performing or making a record? As everybody knows, that's a full-time job. You have a 20-month-old child, right? Yes, and he's well into his "Terrible Two" stages - the "Pre-Terrible Two" stages. It takes a lot of energy, but it feels really good to step away from motherhood now and then to enjoy music and enjoy performing. That's one thing I would definitely share with my son when he gets older. Hopefully he'll be in front of the stage watching his mom perform. This may come across the wrong way, but . . . when I met you in person, I was surprised. Your photos do you absolutely no justice. How do you go about picking the promotional photos that are out there? With the record label, we have mutual understanding and approval of photos. I don't know which photos you're referring to, but not all the photos I take I like. So I totally agree on that. I remember the cover of the "Little Bit of Ecstasy" photo. My impression, and since it was such an up-close photo of your face and from some other material I'd seen, was that you were quite a bit heavier. But you've got a fantastic figure and you're absolutely beautiful. I was amazed. <LOL> Thanks! That picture was actually taken from the video. I've received quite a bit of . . . constructive criticism . . . but that picture was actually from the video. Potentially your biggest hit was "If You Could Read My Mind," the collaborative effort with Ultra Nate and Amber taken from the "Studio 54" soundtrack. I remember a review in Billboard Magazine that said the three of you should consider more collaborations like that. Will we ever see one? I'm definitely open to that. I know the other girls have different focuses and different projects going on, but if there is another opportunity for that coming together, I would definitely love to be part of it. You said earlier that you love working with Thunderpuss - and they're possibly the biggest remix duo out there. Are there other DJs you'd like to work with? I'd definitely like to work with Hex Hector. <LOL> I've always been a fan of his work, his remixes. There are a lot of people out there that I would definitely love to work with. It's hard to name all their names. I also like working with the producer that I've been working with the last two albums, and that's Glenn Gutierrez, who hasn't really been acknowledged like Thunderpuss has - or the other top producers. But home to me is Glenn Gutierrez, and you want to take care of the people that have taken care of you from the beginning. Absolutely - and that's something that's often forgotten by people once they've become successful. For me, the way I look at it, it's an effort by all the team - whether it's the record label, the producers, the management, the staff, my dancers. The success I've received is not just my own doing, it's a lot of people's work. I guess I'm just, you could say, the spokesperson for the effort everyone has put in. When should the fans look for something new from you? I know you're working on it. Of course. Well, because I'm still in the "release" stage of getting out of my record contract, I'm really, really shooting for the end of this year or early next year. I just hope everyone is patient enough to give me that opportunity again to share my music. This time around, I think I'll share my whole life experience. I have matured in so many ways. In life in general, in becoming a mother. Because I started my music career at such an early age, hopefully I can share that story through my songs.